As our population lives longer, the need for in-home care aides is increasing significantly. Most elders, if asked, would say they prefer to stay at home, rather than move to a facility as they age. How do we keep them safe at home, when we must rely on others to provide help with activities of daily living? When the time comes that a loved one needs help at home, the process of convincing them to accept help can be difficult. Having someone come into one's home to assist with such intimate activities as bathing and dressing can be difficult or nearly impossible for them to accept. Be aware of the risk of abuse. Choosing a worker is taking a risk, and particularly when they are not associated with an agency. Since elder abuse has been called "the crime of the century," it is important to be aware that with elders at home, it can be a crime of opportunity for the caregiver. Financial abuse affects millions of seniors, as most of us know. 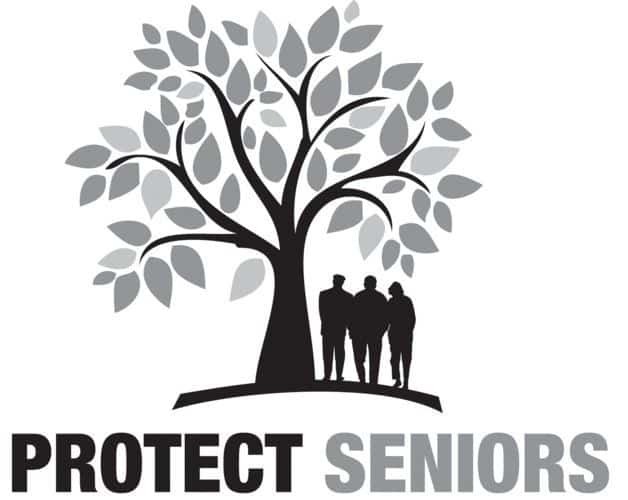 Preventing it must include a consciousness of protecting elders from those who enter the home freely and who work unsupervised for long hours. A reputable agency will help you avoid abuse, and is legally required to carry liability coverage in case a situation does arise. The resistance of the aging person himself or herself is just part of the picture. Some seniors simply won't let outside help into their home. Getting past the resistance is usually the job of the family member, who may be the first to see the need. According to Erin Winter, co-owner of Hired Hands Homecare Inc., in Novato, California, "about 75% of the elders we serve don't think they need help when it is obvious to those around them that they do." Once the needs is recognized, it's your obligation to keep asking them to consider outside help. Present the idea that the help is as much or more for you than it is for them. Remind them of the time they hired a babysitter when you were 13 or 14. Not because you needed it, it was for their peace of mind. Now the roles are reversed. Weigh the costs versus the care. Choosing a professional is a different challenge. Many people, worried about the ongoing expense of having help at home seek helpers through the newspaper or general internet advertising. Invariably, it is cheaper to go this route than to use a home care agency to find a worker. However, the family should consider the risk and added expense of background checks, drug testing and liability insurance, payroll and tax filings, and the risk of being sued if a caregiver gets injured in the home. They may be forced to sue, even against their own wishes, just to cover medical bills. Don't underestimate the potential for an injury to a caregiver. They bend, lift, assist in the shower, cook meals in the kitchen, these are all activities that lead to high workers' comp injury and disability ratings. If the statistics on identify theft and financial elder abuse are not enough to convince the consumer to use an agency, consider the economic times. Desperate people, even those whom you think you know, can do desperate things. The temptation to take money, valuables, or misuse a credit card can be overwhelming for a worker whose spouse has lost a job, or who feels economic pressure. A licensed agency offers several layers of protection for the consumer. First, the agency doing its job properly will do a thorough background check of every worker. This should include a national criminal records search. Next, the agency should be insured and bonded. If a worker steals, at least there is a remedy. Hiring an independent aide could pose extended liabilities. Homeowner's insurance may or may not cover a loss due to theft. The deductible may be too high to make it worth making a claim. Identity theft would likely not be covered by such a policy. Finally, a quality agency providing home care professionals will screen for suitability for the job, perform drug testing, and will train and supervise its workers. It will also replace them if one leaves suddenly or needs a day off for personal reasons. Hiring an independent individual may not offer the resources necessary to replace the worker as quickly as an agency can. Ask about the training and supervision of caregivers. Not all agencies provide this. The extra cost of using established employer-model agencies is well worth the security they can provide to keep elders safe. Those agencies which place independent contractors only are out of the picture to monitor quality or to supervise the workers, once they are placed and the placement fee is collected. It is certainly much simpler for the agency to keep only independent contractors as workers, but is more risky for the recipient of services. In many instances, reliance on an elder's ability to monitor care, especially when the elder has cognitive impairment, does not make sense. Follow these tips, and enhance your chances of safely using a professional to help an aging loved one stay at home. Understand the motivation behind an aging loved one's resistance to help at home, and keep respectfully urging when they resist. Use an established, employer-model home care agency to find a qualified caregiver for an aging loved one. Do your research on the agencies you are considering. A supervised worker is safer for an elder.